Migrating from another Shared Hosting/VPS/Dedicated Provider. We can offer something Special Discounts. Just send an Email to “sales [at] serverhosh.com” with your Current Provider Latest Invoice with your VPS Requirements. For Every Semi-Annually VPS you will get a Free SSD Shared Hosting Package One for 1st Year. NL/USA Only. For Every Annually VPS you will get a Free SSD Shared Hosting Medium Package Two for 1st Year. NL/USA Only. This can be order as new VPS or If you are an Existing client you can Upgrade your package as 6 Months, 12 Months and Lifetime. 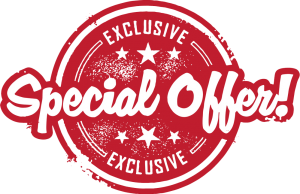 For Every lifetime VPS you will get a Free SSD Shared Hosting Top Package for Life (USA/NL Location Only). **Above offers doesn’t Applied for Web Hosting Packages, Starter VPS, Basic VPS.